In this lecture, Rif introduces the basics of lat kinesiology, and teach the steps needed to build a powerful back. Once you understand how the lats work, you can build strength, size and pushing and pulling power. You’ll finish this video with a new appreciation for this powerful, often-neglected muscle group. In this lecture, Rif introduces the basics of lat kinesiology, and teach the steps needed to build a powerful back. Once you understand how the lats work, you can build strength, size and pushing and pulling power. You’ll finish this Mark Reifkind video with a new appreciation for this powerful, often-neglected muscle group. –Pavel Tsatsouline, author of Enter the Kettlebell! This is the video you’ll wish you’d seen at the beginning of your strength career. Luckily, it’s not too late! Lats: The Super Muscles is a power-packed lecture on why the lats are so essential to high performance strength and safety. From the opening seen in the DVD you are immediately hooked as Mark takes you in depth on a fascinating journey of the latissimus muscles and teaches you about anatomy, posture, neurological principles and much more. Mark also spends much of the DVD getting you off the couch and into hands-on practical demonstrations on how to connect to your lats and use them in kettlebell movements such as swings and presses. The drills he teaches are easy to learn yet totally effective. 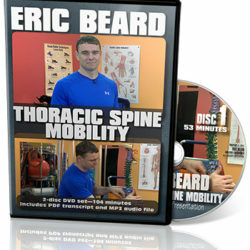 I started practicing the drills he taught on the DVD and immediately my shoulders felt stronger and more stable. I am happy to tell you that Mark’s teaching in this DVD has got me pressing heavier kettlebells again and I am teaching these drills to all my clients. Get this DVD if you have any interest in learning tons of practical information on getting stronger or if you have any desire in helping others do the same! Congratulations Mark, this DVD should be in every coaches collection. Please continue to come out with more DVD’s like this! The physical DVD is 1 disc, 91 minutes.